Here's a sketch I've done numerous times of a famous scene from the Vietnam war. 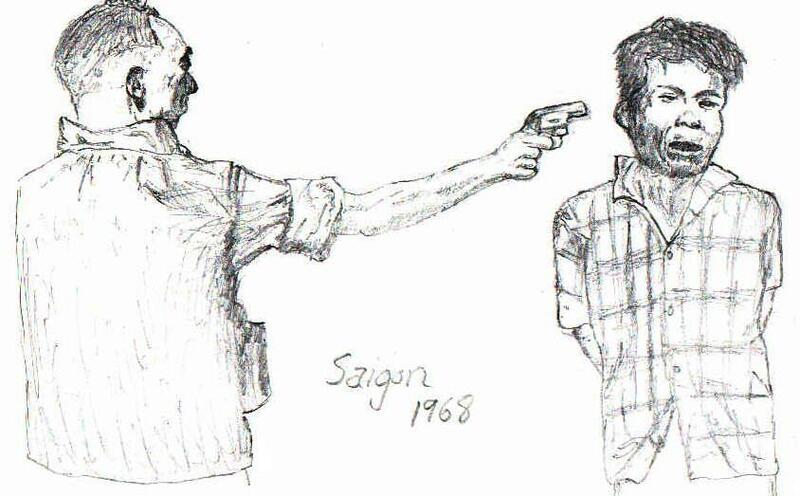 The Saigon Police Chief executed a suspected Viet Cong soldier on the streets after the Tet Offensive. There's a famous photo of this scene, and a television film crew captured it, too.